I’ll admit that I was pretty excited when this book landed in my mailbox. It brought back memories of the public library’s Bookmobile showing up each week in our grammar school’s parking lot, where I searched out books about cars, and other books about guys driving cars. Guys with names like Skip, Chip, and Bud… driving cars like chopped ’32 Fords, ’49 Mercury coupes with flat black paint jobs, and their older brothers’ ’57 T-Birds. Millikin gathered these stories, written by a variety of authors about a variety of situations, with the expectation of “…a provocative mix of visceral, plot-driven stories.” Which, I guess, he got. What he didn’t get were any Chip, Skip, or Bud storylines. Which, after getting into the book, I decided to overlook. The first story, “Test Drive,” was written by award-winning author Ben H. Winters. For me this was a good opening-story choice as I could personally relate to the first-person narrator, a car salesman on a test drive with a customer who has… a problem. Or two. The story is dialog-driven, which helps move it right along — “How many kids you got?” “Zero.” “I did have kids, you see… But they’re dead. They’re all dead.” Yes, any car salesman’s dream customer. The test vehicle is a Honda Odyssey minivan, which we learn in the authors’ notes is the very vehicle driven by Winters. One would hope this story wasn’t autobiographical! The second entry, “Power Wagon,” a C.J. Box story, uses an old Dodge truck as more of a means to an end rather then a main character. A wacky family, a somewhat deserted farm locale, and a (we presume) young couple expecting their first child set the stage for a creepy, Stephen King-ish storyline. It was about here that I realized that this wasn’t a book from my youth; the cars are used as props in the background of most of the book’s tales. Some are farther in the background than others: a lawyer who meets a disgruntled client waiting for him in the back of his hired Town Car; a down-on-her-luck high school kid who needs, but can’t really afford, her own car; and a deceased uncle in another state whose body needs to be driven back home. Other stories feature the vehicle more prominently: “Hannah Martinez,” about an ’82 Cadillac of the same name. “I kept the Cadillac when we divorced. It was the only thing we had left that was worth anything.”; “The Kill Switch,” something you’d want your “…derelict-looking Pontiac LeMans” to have in an iffy neighborhood (note to author — there is no such thing as a 1965 Mercury Cougar; the first models appeared for 1967); and “The Triple-Black ‘Cuda,” about a 1970 Plymouth Barracuda, which probably comes closest to being a Skip, Chip, or Bud storyline except the names are more like Ted, Walter, and Rick. Oh, and there seems to be a lot of weed usage going on here. That never happened in any of my Bookmobile books. The Highway Kind may not have been what I hoped it would be when I first laid eyes on it. 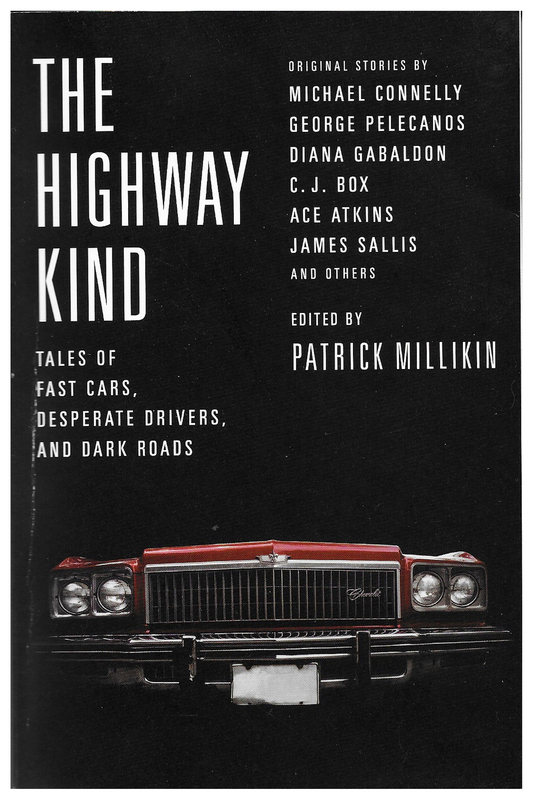 But setting aside the premise of a book about cars and drivers, and realizing it was more a book full of stories in which cars (and their drivers) were a part of the tales, I was okay with it. No, I actually enjoyed much of it. With apologies to Skip, Chip, and Bud, wherever they are. 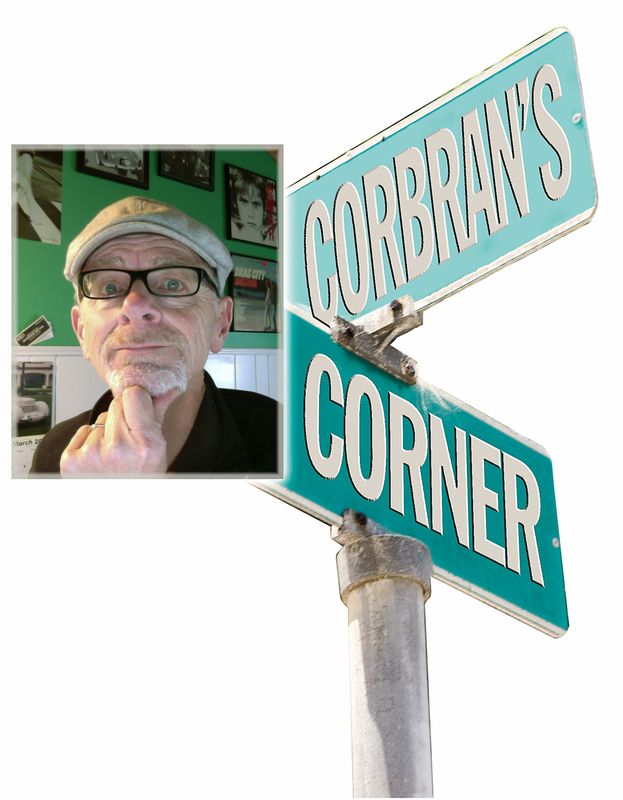 About the Editor: Patrick Millikin is a bookseller at The Poisoned Pen Bookstore in Scottsdale, AZ. He is the editor of Phoenix Noir (Akashic), which contained the Edgar-Award-winning story "Amapola" by Luis Alberto Urrea. He is also a freelance writer, and his work has appeared in Publishers Weekly, the Los Angeles Review of Books, True West and other publications. He lives in Phoenix, AZ, and is currently restoring a 1960 Cadillac Sedan Deville. 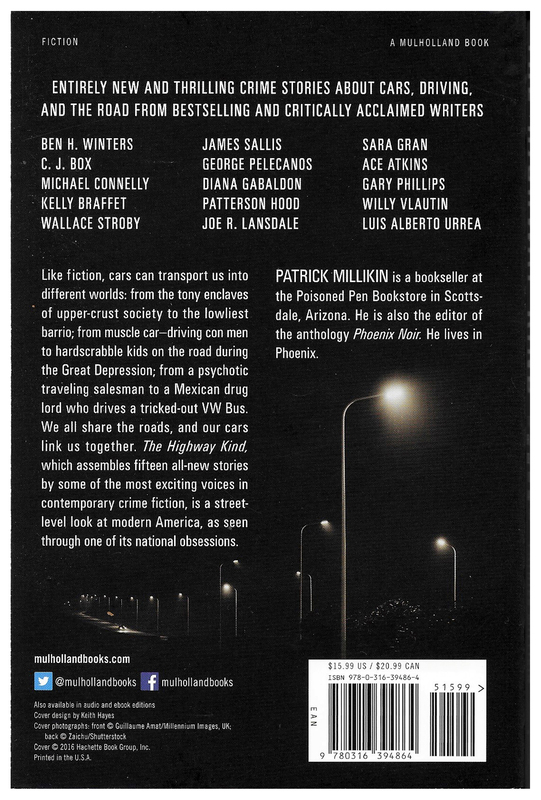 The post "THE HIGHWAY KIND: Tales of Fast Cars, Desperate Drivers, and Dark Roads"